Founded in 1898 by Salvatore Contini, today is an absolute excellence within the Sardinian wine scene. The journey of the Contini family in the wine roads is long and exciting. Attilio, Salvatore's son, carries on the commitment undertaken by his father. It enlarges the current cellar and strengthens the surface of the vineyards. But what today means to enter into Contini cellars? Equivalent to meet the dedication and expertise of Paolo Contini, grandchildren and winemaker Piero Cella in the selection of the grapes, winemaking and aging. 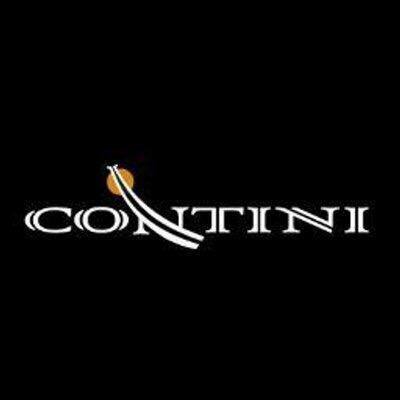 Contini always combines its name to the deepest ancestral Sardinian tradition. For this reason in 2009 he wanted to link his name to the Sartiglia, the medieval equestrian tournament that takes place in Oristano at Carnival time. Born from this union Sartiglia (Cannonau), Pariglia (Vermentino) and Componidori (Grenache). The increasing attention from consumers to the panorama of the "organic" has led the company in 2011 to the production of wines Mamaioa , natural wines without added sulfites . Mamaioa in Sardinian dialect means ladybug, symbol of nature. The excellent result of this experimental path is represented by Karmis , wine unique in its kind, obtained by a clever blend of Grenache and Vermentino grapes.